A campus female students has seen her head cut open after she was stoned by her friend who reportedly accused her of trying to advise her to stop smoking. A student of Obafemi Awolowo University, identified as Tope, who is 100 level of Foreign Language, has been apprehended by operatives of the Nigerian Police for stoning her friend, Nifemi, who allegedly dared to advise her against smoking. It was gathered that the incident happened yesterday at their residence along Ede road in the Ile Ife area of Osun State. Multiple online reports claim that an argument had broken out between the two friends, following Nifemi’s advise that the suspect should quit smoking. 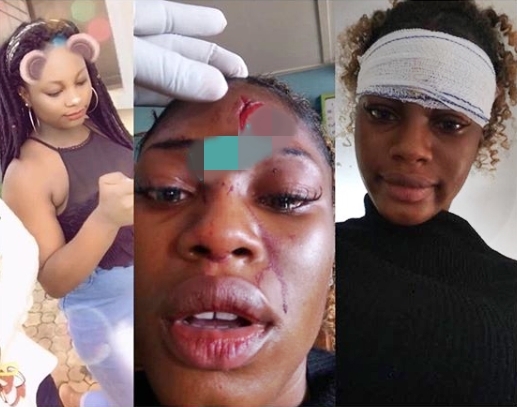 In the heat of the moment, Tope picked of a roll-on and aimed it at Nifemi’s head, leaving her with a gash and she had to be rushed to the hospital, while Tope was promptly nabbed and handed over to the police.